I reached the decision to have bariatric surgery after thinking about it and considering the options for a long time. In observing patients in hospitals, nursing homes and rehabilitation facilities as a close family member went through various major illnesses, I came to the conclusion that I did not want to be obese as I aged. My primary care physician was very supportive of my decision and referred me to the appropriate services to meet the insurance requirements and connect with bariatric services. Having met the insurance and bariatric requirements and classes for surgery, I was approved. The process took about two years to complete, as I also paused to downsize my home along the way. To prepare for the coming changes in lifestyle, I talked with my family and friends about what changes I would be facing. For me to be successful, I felt that their support was essential. With that, I set two goals for myself: lose 100 pounds and not regain the weight. It has now been ten months since I had the gastric sleeve procedure. I have achieved my first goal of 100-pound weight loss, and am working on the second goal of not regaining the weight for the rest of my life. The latter being the more difficult goal. The surgery and recovery went well with minimal concerns. The team approach that Dr. Sanborn and his staff create is infectious and essential in recovery. I came to appreciate the strict post-op protocol, which required a slow addition of fluids and foods over time. It required measurement and mindful eating of healthy foods which helped me permanently change my eating style. Changing behaviors is so hard, but this method worked for me. Participation in the bi-weekly support group is a huge positive maintenance strategy that works for me for several reasons. Attendance to the group helps me stay accountable for my behavioral changes. The sharing and support that occurs with new members as well as those that go ahead of me is a positive game changer. I continue to learn each meeting. The health tips, nutritional information, recipes, weight management suggestions, food recommendations, and behavioral strategies related to bariatric weight management are essential for my continued success. I still enjoy cooking and trying new recipes, and still enjoy eating — just in smaller healthier measures. Bariatric surgery is not a magic bullet to fix obesity. It’s another tool in my tool box to help me remain healthy and functional as long as possible. Support in all its forms is essential to my ongoing success. 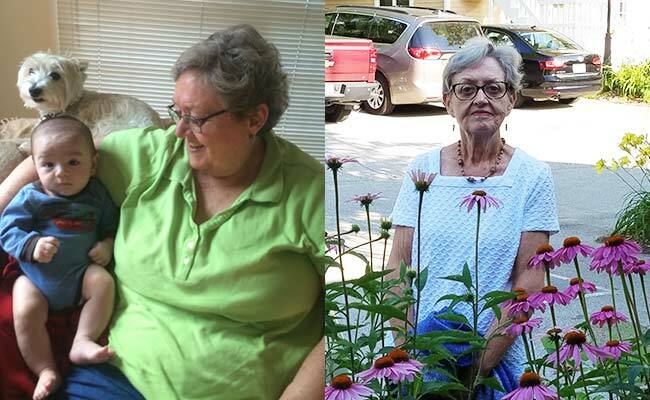 Find more stories of success from Erlanger’s Metabolic and Bariatric Surgery Center.